Washington Square Press, 9781451640564, 384pp. "Beautiful and deeply moving, Amy Hatvany writes about the tangled web of family in a way that makes you laugh, cry, cheer and ache. This book has so much heart." "A heartfelt, moving story about the lasting effects of grief amidst family bonds and breakups, and the healing powers of love, honesty, and acceptance. 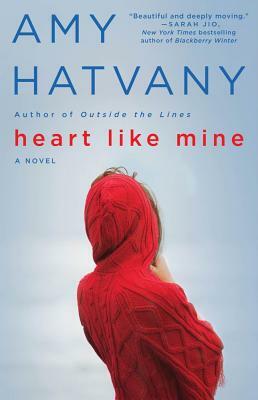 Hatvany writes with such wise compassion for every one of her characters." "Heart Like Mine fearlessly explores men and women desperate to measure up to the rigors of parenthood, but still failing their children. Hatvany bring sympathy and compassion to the page, while never losing sight of the damage children suffer when their parents make bad decisions." "By turns gripping and revelatory, Heart Like Mine is a sympathetic exploration of blended family dynamics. In her affecting new novel, Amy Hatvany pulls no punches; her characters grapple with life's big moments—marriage, parenthood, death—but she renders each of them with compassion and understanding. Heart Like Mine tells an honest, hopeful story that resonates in all the best ways." "An insightful look at the complexities of modern family life."